Santiago’s Parque O’Higgins may have been shattering at the sight of Chilean sunshine and 22 Formula E cars on the attack, but that didn’t stop the circuit from being a fine foundation for one of the series’ newcomers to spring into contention. Pascal Wehrlein, recovering from an uncertain last eighteen months under Mercedes’ rule, has only recently found refuge under the welcoming arms of Alejandro Agag’s pioneering electric series; but it was in the streets of Santiago where the young gun finally rediscovered the best of himself. His Formula E tale begins, where his darkest moments as a racing driver took hold. 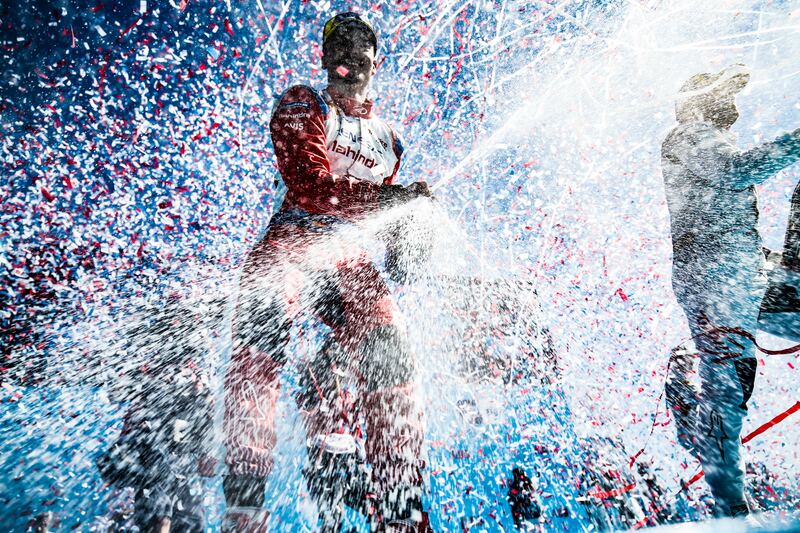 Deemed both surplus to requirements at Sauber, and an unattractive prospect to the rest of the Formula 1 field in December 2017, Pascal’s only place to go was back to the scene of his last champagne swig, DTM. This was by no means a just exile. Pascal may have never stepped foot atop an F1 podium, nor may he ever have made the pundits and fans spiral into lyrical waxing, but this was more down to his machinery than himself. 2016’s Austrian GP was an incredible achievement, dragging his Manor kicking and screaming into a tenth place which nearly secured the team’s very survival, while next year’s Spanish GP was his open-wheel career’s finest hour. But he’d already been chewed, and chewed some more, until the series deemed his flavour null. Esteban Ocon had overtaken him in the Mercedes young driver hierarchy, fairly or not, and there was no longer a room at the inn. But fast forward little over a year, and Pascal’s heroics that day in Austria, which bursted him onto the world scene, were given an emotional recreation in the South American heat. Pascal well and truly nailed his weekend, from start to finish. 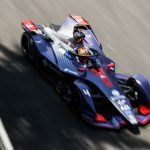 His nerves would understandably have been jangling throughout qualifying; a mixture of a race less to prepare for the rigours of Formula E racing than his rivals (thank Mercedes for that), a bitterly unfortunate debut in Marrakech, and disruptions in the earlier practice sessions could well have made for a quiet afternoon. He’d have none of it. In the group sessions, the German made an impression both seismic in its importance, and graceful in its skill. He admittedly had the wind of Group 4 behind his back, but even so his electrifying first sector, over 3 tenths quicker than any time that had gone before, was masterful. He drove the wheels off of the M5Electro, in itself a dark horse or, at best, a wolf in sheep’s clothing, certainly not an established frontrunner though. The table would be topped by his name, with two tenths separating him and Group 2’s Sebastien Buemi in second. That in itself is a feat, but it was not to be his peak. Superpole’s shootout was all about the crushing dominance of Lucas di Grassi, but 6 tenths adrift Pascal still worked his way into third with a sense of ease non-befitting of his experience level. And then Lucas was, in bizarre fashion to say the least, penalised with an exclusion. Pascal found himself on the front row, and if he were to bend his neck over to the left, he’d be seeing the Swiss flag and Red Bull sponsorship of Buemi’s helmet. Sharing the utmost row with a series titan is a tough gig. Not that Pascal would accept it to be. His form over the weekend culminated into a drive both savvy and ballsy, sage and brave. Spending the first part of the E-Prix an ever-present behind Buemi’s diffuser, he was keeping the 2015/16 victor honest every step of the way while managing his battery levels. His ability to manage his tyres efficiently in F1 (remember, that’s what his 2017 Spanish GP was built on) transitioned to his energy saving. Sam Bird may have been able to work his way past in the race’s middle phase, but that owes more to the experience and competence of Sam than it does the flaws and rough edges of Pascal. One moment that signified the mental capacity of him was this; on the same corner Bird completed his overtake, and both were off-line, Pascal beautifully executed his first Attack Mode so that he’d lose as little time as possible. That canny nature and wit allowed him to keep it on the road, and out of the back of his rivals, when so many others were falling by the wayside. His fellow ex-F1 debutants, Felipe Massa and Stoffel Vandoorne, ended up in the barriers either through the bad hand of racecraft or through botched car control. Buemi, up ahead, is one of the most experienced on the grid, and yet he too found himself magnetically drawn to the barriers. And yet Pascal was keeping a level head. He wasn’t just settling for second, though; for as long as he possibly could, he was hounding the rear end of Sam and placing the Brit over a furnace of pressure. It was not to be, and on the last lap Pascal rapidly dropped away from the victor, but it was proof this man can do exciting, edge-of-your-seat combat, but with one eye on his and the team’s best interests. 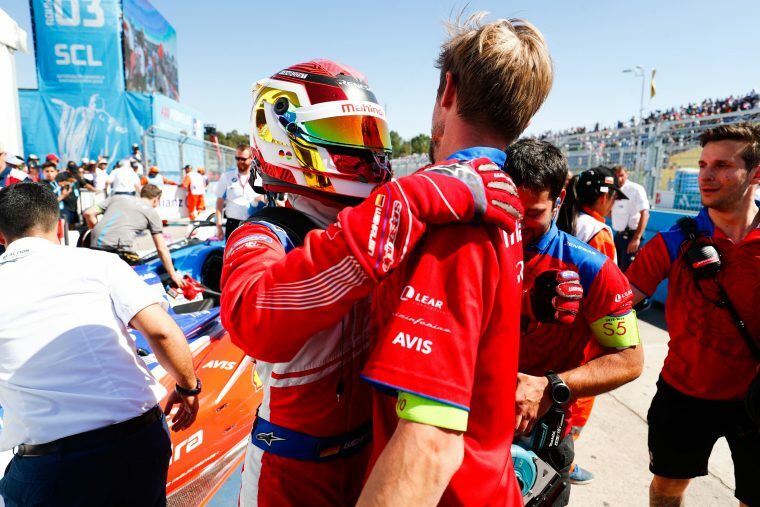 Second was a fitting reward for his efforts in Santiago, and had he overthrown Bird in the dying stages, it would have bordered on the finest performances Formula E has seen in its history, but his pure speed, top-notch racecraft and head beyond his years were all on show in this E-Prix. This weekend was also proof that his teammate, Jerome d’Ambrosio, might not have it all his own way after all. I feel that we’ll see the best of Pascal come to the fore in Formula E. His smooth, calm nature is befitting of the series’ intricacies. 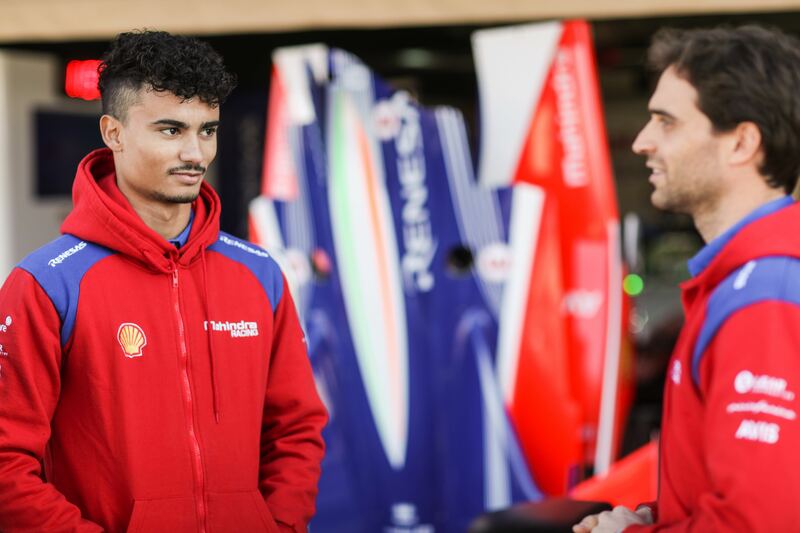 F1 may not have wanted him, Mercedes may have became the albatross around his neck, but finally Pascal can spread his wings and fly under the tutelage of Mahindra Racing and Formula E.